Modern technology has had a huge impact on medicine, perhaps the most transformative being our ability to see inside the body and gather physical evidence of symptoms and disease. And while orthodox medicine certainly has its place, it can sometimes discourage us to view body, mind and soul as ‘one’ when it comes to health and wellbeing. We must be careful that an obsession with gathering ‘evidence’, which technology increasingly allows us to, doesn’t mean we dismiss that which we cannot see. We cannot see ‘love’, we can only feel the effect it has on us, but that doesn’t lead us to question its existence! Orthodox medicine uses body chemistry to assess our physical health, but we also know that any changes to this chemistry are caused by changes in electro-magnetic energy. Modern medicine and ancient thinking may not therefore be so different after all, just different stages along the same path. We got much better at treating symptoms, so had less need to focus on the cause. However, the tide is turning, as we place more emphasis on assessing the health of our ‘whole’ selves. 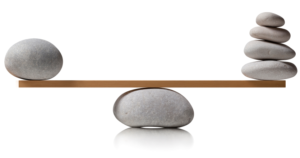 In simple terms they are specific areas of energy, held within our bodies. 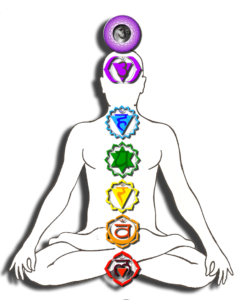 The word ‘chakra’ comes from Sanskrit, the ancient language of India, and means ‘wheel’ or ‘disk’. This helps us to visualise them – as spinning wheels of energy. As you will see below, there are 7 main chakras, each relating to specific systems within our body. However, it is important to remember that they are interconnected, and each must be functioning well in relation to the other. A good way to understand this is to imagine the cogs of a wheel, each one spinning the right way and at the right speed for the mechanism as a whole to work. The position of the 7 major chakras is closely linked with points in our endocrine system, which along with our automatic nervous system controls hormone secretion in our bodies. Here is an overview of each of the chakras, the body system they relate to, and the effect they have on our health. Root Chakra: This is associated with our adrenal glands, which secrete hormones to regulate our metabolism and salt balance. This is also where adrenalin is produced, which is essential for our ‘flight or fight’ response. The root chakra is therefore associated with our primitive selves and survival. Sacral Chakra: Located around the male and female reproductive organs, this impacts physical development, sexual maturity and fertility. Positive energy flow in this area is linked not just to physical areas of sexual health, but also the relationship with our own sexuality. Solar Plexus Chakra: This covers the area around our stomach and pancreas and is associated with our digestive system and control of blood sugar. We are aware of the link between emotional stress and our digestive system when we experience a ‘gut reaction’ to something, or butterflies in the stomach. Heart Chakra: We associate the heart with our emotional response to people and situations. Located just above the heart is the thymus, which stimulates both physical growth and our immune system. Both of these can be adversely affected if the heart chakra is left imbalanced due to emotional trauma. Throat Chakra: This is related to the thyroid and parathyroid glands, which control the body’s metabolic rate (energy conversion) and calcium levels. They are also linked to mental development, in how we process heartfelt emotions in our minds. Third Eye Chakra: Sometimes referred to as the ‘master gland’ of the endocrine system, the pituitary gland has an effect on our entire body chemistry. The third eye chakra is located here, at the base of the skull and is so-called due to its link with intuition and instinct. Crown Chakra: This is linked to the pineal gland, which is responsible for melatonin production. This hormone regulates our Circadian Rhythm or ‘Body Clock’, which controls our pattern of waking and sleeping. The effects of poor quality sleep are well documented, in terms of performance, managing emotions and our ability to heal. So what causes an imbalance to the chakras? As we have seen, the 7 major chakras govern pretty crucial areas of our physical and mental health. Given that they are essentially made up of energy, anything that prevents energy flow, or causes a blockage is going to have an impact on our health. Emotional stress and traumatic experiences can cause blocked energy to be stored in one or more of the chakras, interrupting the natural flow of energy through our bodies and even causing the ‘cogs’ to grind to a halt. This energy can remain stuck for years after a traumatic life event, or can slowly build due to the everyday stresses we all experience. By undertaking work to free and rebalance the chakras, you can help restore good health, which will be experienced on a mental, physical and spiritual level – addressing the ‘whole’ self, instead of treating individual symptoms. Guided work may mean focusing on a specific chakra, relating to individual need, but will also enable good energy flow through the entire body. By listening to our bodies we can gain an insight into how our chakras are functioning and what we can do to improve our health and wellbeing. To find out more about chakra balancing, to book a chakra balancing session or to inquire about my chakra workshops, please get in touch.